Founded in London, England in 1770. 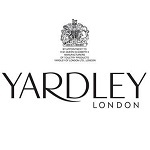 Yardley London has a world renowned brand name with a fine reputation for very high quality fragranced products. Since the House of Yardley was established in 1770, lavender has remained their signature scent and they are dedicated to understanding and appreciating every nuance of the plant. Kindly scroll down to view fragrance and product ranges. Over the centuries, Yardley has been at the leading edge for style and elegance remembered for its association with Twiggy, Jean Shripton and incorporating product designs from some of the world�s most renowned designers including Reco Capey. Now in the 21st century Yardley continues to lead the way with its authority on lavender and high quality floral bath luxuries. While continuing to develop new fragrances and designs that guarantee to some of the top selling scents in its range, it is also embarks on a new chapter in stylish design that celebrates its heritage within the 21st century setting.